10 November 2008: Term Limits can be a productive if not blunt instrument despite the powerful passions they may evoke. Term limits are currently a revived topic for action at both state and local level in the United States. New York City and San Antonio are two major cities where this subject, the bane of elected officials and favored by their electorate, is once again on the front burner. In February 2008, California voters, rejected a move to alter the term limits earlier imposed by them, while in October 2008, New York City Council voted in favor to extend term limits from two to three consecutive terms of fours years for elected officials including the mayor. Studies have revealed benefits and costs; and illustrated the fact that they are not necessarily a panacea as envisaged by some. Furthermore, the benefits are more obvious in some cases than others. In ancient Greece, elected officials were term limited. From the 6th century BC many Athenian officials were elected by random lottery to serve a term of a year. Elected Roman officials were also no strangers to term limits of a single term. Many of the framers of the fledgling United States governance system were also enamored of this notion. Benjamin Franklin, John Adams and Thomas Jefferson all considered term limits to be an important way of placing checks on individual power. Whereas the Articles of Confederation limited delegates to three-year terms, similar provisions were omitted from the Constitution. Yet George Washington stepped aside after his second term, setting an example for presidents that lasted for almost 150 years. Franklin D. Roosevelt was the first President to serve more than two terms (he was elected to four during the tumultuous period of the Great Depression and the Second World War). The foregoing history was pointed out in a recent article in Time magazine on Term Limits by Alex Altman published on October 3, 2008. The exception of President Roosevelt, one could say, persuaded electorates of that time that continuity could only be found in the hands of one leader. However, one may also remember that this was just one of the tumultuous periods in American history - so why was this exception accepted at the time to be different? At the national level¸ in 1951, the President’s position was made subject to mandatory term limits, although it still has not been applied to Congress. Meanwhile, in nearby Mexico, term limits on Mexico’s Congress were introduced in 1917. During the post-Second World War period, when public life became a vocation, the issue of mandated term limits rose to the fore once again upon the concern that elected representatives were becoming excessively secure, isolated and less responsive to their constituents. Voters generally have a visceral preference for term limits. They have obviously subscribed to the arguments that have been put forward in favor of this check on representatives. This is an assertion that has proved to be true. There have been contentions that this has led to more partisan bickering. However, since Lee Hamilton has blamed partisan bickering on his colleagues’ incumbency in Congress, perhaps this is affected by some other factor. Yes it does create opportunities that would have otherwise been unavailable. On the other hand, it has helped, but also not evidentially helped women and minorities in different ways. See the Studies section for more discussion on this point. There is no substantive proof of this; perhaps because campaign finance is a tool more effective in this regard. Without campaign finance reform, lobbyists’ influence should still be there - although perhaps the degree of influence as affected by time in office could still be an issue. “In the mid-1960s, the California Legislature was heralded by the National Conference of State Legislatures as ‘the best’ in the nation. Yet a decade later, even proponents of this view began expressing strong dissatisfaction with the body. Assembly Speaker Jesse M. Unruh, who helped professionalize it, conceded that the ‘legislative process … seems virtually hammer-locked by increasingly frequent personality and political conflicts’." 4) Term limits will produce a "citizen legislature" of more ordinary people rather than professional politicians. Term-limited representatives would be more in harmony with public opinion and with their districts' constituents. An overview of California found that even though its legislature is the highest paid in the nation (members get over $100,000 a year in salary and daily perks), thus making it a virtual incubator for career politicians. The term limit environment does seem to be producing more people who fit the description of "citizen-legislator", with many more members having business experience, especially small business experience, than was typical in the 1980s. Nearly a quarter of the legislators (23.7 per cent) since claim to have had experience as business owners, up from 8 per cent in 1976 and 10 per cent in 1986. Increased participation can be a factor in promoting this, but it is no guarantee since this depends on who replaces the outgoing leaders. Will they be more in tune with changing ground conditions than incumbent officials comforted by the status quo? Perhaps. But most incumbents, more interested in retaining their perches, take a different view. Congress has revealed that this can be true, as spending had soared even before the onset of the current financial crisis where incumbency was (and is) rife at this level. How has this been revealed to be a factor at other levels? See the Studies section for further discussion. If experience means incumbent politicians, that is true. Arguments against this contention are that this is why we pay bureaucrats, to inform politicians. You can use staggered elections or develop a mechanism for capacity building. One must also keep in mind that the most responsible job in the country, that of the President, is term limited. The term that it is limited to was voluntarily retained for most of American history. Why then are less senior positions in need of more indispensable people? There is also the related matter to consider that at the local level there has been a rise in council manager systems, bucked only by the largest cities. So this issue is diluted by that factor. It is feared that bureaucrats and permanent staff will dominate them. They will also be unable to deal productively with non-term limited leaders’ power and experience. This is a concern raised most often at the state level. See the point on lobbyists and the discussion on their influence. This can be true. 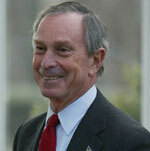 Both Mayor Bloomberg and Mayor Hardberger of San Antonio are proof of that at present. However, does this mean that no one else replacing them can be popular? Are individuals more important than the system? And if so, what does that say about the system? Does it need to be improved? But 55 per cent of poll respondents said they thought it would be unfair to overturn term limits at that stage of the game in order to allow Bloomberg another term. Overall they opposed extending term limits, 56-38, and supported the basic concept of limiting elected officials' time in office, 71-23. This depends on the types of project involved and whether they were of the type that would not be supported by a successor. This is an issue that is also relevant even when term limits are not involved. By 1994 some 21 states had passed term limits on their state delegates. The majority chose to limit their representatives to three terms, and all of them had limited their senators to two terms. Two of the twenty-two states chose six terms for the House. A poll by Frank Lutz during that period revealed that 82 per cent of voters supported a three-term limit. At the state level, as noted on the website of the NCSL, in 1990 citizen initiatives limiting the terms of legislators were passed by voters in California, Colorado and Oklahoma, the first states to take the lead at this level. Subsequently, 18 other states adopted term limits, but in four - Massachusetts, Oregon, Washington and Wyoming - term limits were thrown out by the state supreme courts, and were repealed by the legislatures in Idaho and Utah. That leaves 15 states with term limits for legislators. However, as pointed out by the group U.S. Term Limits on their website, with evidence, some 37 states placed some form of term limits on their governors and other constitutional offices. As the second term comes to an end, at least 24 local governments are seeking to loosen or remove term limits approved in the 1990s. At the same time, other local units have either considered and approved term limits or expect a vote on them in November. As for cities, Chicago is the only one of the nation's five largest that does not limit the terms of its mayor and City Council members. Of the 10 largest cities, it is one of only two with no such limits. New York has a term-limit law approved in two referendums in the 1990s. Yet, the current financial crisis is providing an excuse for the removal of voter- approved term limits by their city council without resort to approval at the ballot box. New York officials thus hope to follow Washington DC, where this move succeeded past voters who were not vigilant enough to vote out of office those who used this approach in the succeeding election. Perhaps the New York City elected officials hope New York voters will be as lax? One may also wish to keep in mind that since 1955 San Francisco’s mayors have been subject to a voter- imposed term limit in what is perhaps the most politically engaged city in the country. It has introduced innovations that have spread to other parts of the state and the nation beyond. Are mayoral candidates in other cities less able than those in San Francisco? One might wonder. Would their electorates agree with this proposition? San Antonio has currently one of the most restrictive term limits in the nation  two two-year terms and then a lifetime ban on service. A measure on the November 2008 ballot, which would have allowed for four two-year terms was narrowly rejected by voters. Previously, an effort to loosen the limits in 2004 to three three-year terms was unsuccessful This has been ascribed to ”[s]till-fresh memories of indicted councilmen in handcuffs, simmering anger over rising property taxes, a lack of leadership and a campaign that failed to resonate with voters all hampered that effort”. See: ”Arguments for, against term limits are offered”, Express News, October 5, 2008. However, as an opponent of the San Antonio effort notes in the article referred to above: ”If voters really wanted to extend term limits, … they would be gathering signatures.” Instead, he said, the city's “political establishment was hitting up corporate donors to wage its campaign”. 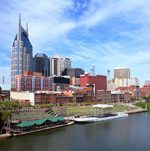 In Nashville voters rejected on 4 November 2008 a proposal that would have allowed council members who were elected to fill less than half of an unexpired term to run for two full, four-year terms thereafter. Attempts to change the limit to three terms previously failed in 1996 and 2002, as did an effort to abolish term limits altogether in 1998. But hope on the part of city officials ‘springs eternal in the human breast’ when it comes to overturning restraints on their terms in office. Shelby County voters rejected a ballot referendum in August 2008 that would have changed the term limits for elected county officials, including the mayor and county commissioners, to three four-year terms. The current mayor and commissioners are limited to two four-year terms. While the subject of term limits evokes powerful passions on both sides of the argument, as this discussion has illustrated, the subject is rich in nuances. Term limits can facilitate the refreshing of the system, but they are not necessarily blunt instruments. Depending on the shortcomings of each system in question, their use can be helpful, and be one of several mechanisms that could be applied. The full version of this article together with reference and source material can be obtained free of charge by emailing the editor, with 'Term limits' in the subject line. Please also supply your name and, if applicable, your organisation/company/academic institution. Eighty per cent of Americans live in metropolitan areas comprised of hub cities and surrounding suburbs. Metro economies account for 87 per cent of America’s total economic output. Central cities, in other words, are major generators of wealth that attract business, labor, tourists, and investment. One might expect that the health of central cities would be at the forefront of debate during the presidential election campaign, yet candidates pay little attention to cities. Certainly, issues like immigration, jobs, schools, crime, and poverty are debated vigorously. But these are suburban and rural issues, as much as urban, and there is no acknowledgement from the presidential candidates that cities could be agents for national change in these and other areas.